Ok, I know what you are thinking! Ok, those are valid questions, I agree. However, you probably haven’t experienced a very real-life scenario I found myself in a couple of years ago. Sit back and let me take you down the proverbial memory lane. It was October 2016. The humidity was starting to loose its control over Florida and that was inspiring me to experiment. The need-to-try-new-experiment itch started right after I had just finished making my savory pumpkin dip. I opened 4 cans of pumpkin puree and started creating all kinds of recipes. 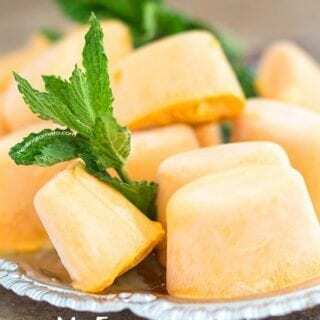 This recipes eventually (by eventually, I mean 1 year later when pumpkins were back in fashion) came to the blog in the form of Pumpkin Soup, Pumpkin Smoothies and Pumpkin Pasta. 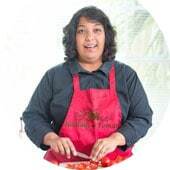 There was a even a curry recipe but that will never see the light of day! After all the experimenting, I still had plenty of pumpkin puree left over and just couldn’t let it go to waste. The one thing all my experimental recipes had in common was that I used coconut milk along with pumpkin puree. So, i felt the proverbial light bulb went off above my head. If I have left over Pumpkin puree and leftover coconut milk and they get along so well, why not mix them?! I pulled out my trusted blender and dumped both leftovers into it. When the blender was turned on, the orange colors and white swirls flew up in the blender doing a dance that would make the NYC Ballet proud! Eventually, the color turned into a harmonious light orange, which reminded me of a quite sunset on a cool fall evening. I dropped the beautiful orange liquid into ice cube trays, covered it with plastic wrap and let it freeze to perfection! As the months went by, I would plop them into various recipes giving the meal just a slight flavoring of the holiday season. Can you imagine feeling like its Thanksgiving all year round? This preserving method was the best idea I ever had, if I say so myself. I would have hated to throw it away or have it go bad. – Don’t preserve the puree by itself. It turns crumbly when you ‘defrost’ it. 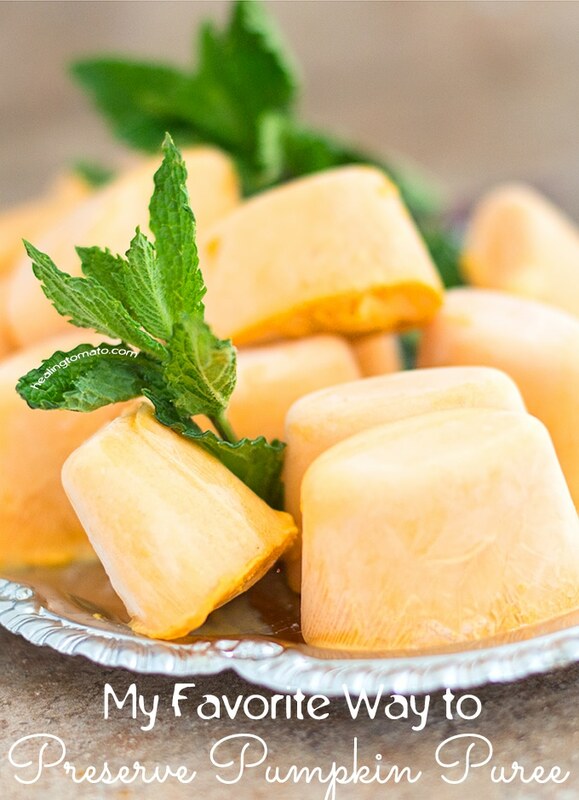 Always preserve pumpkin puree with some liquid such as water or pumpkin juice (1:2 ratio). If you are a heavy consumer of coconut milk, you love this combination, am I right? – Don’t forget to cover it with plastic wrap. This will prevent the top from getting a ‘freezer burn’ look. 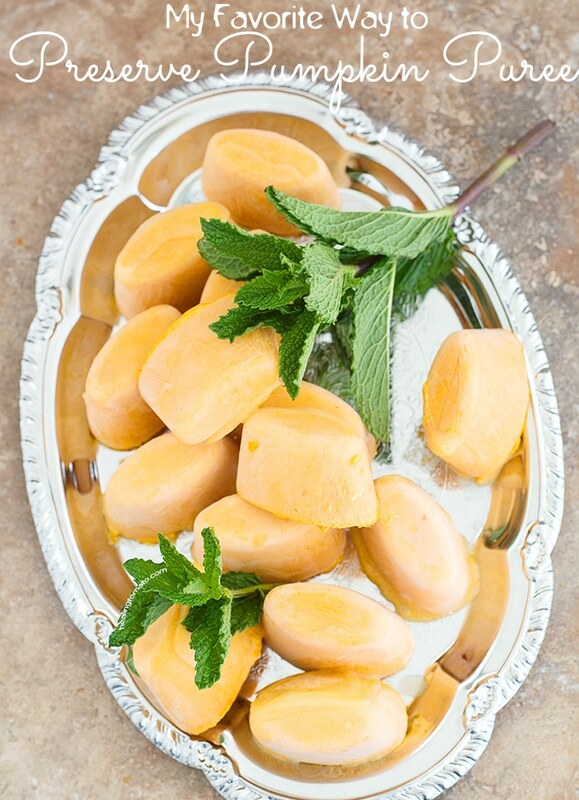 If you had freezer burn, you know its not a good feeling, so, don’t subject the puree to it either. I have also seen (affiliate link) ice cube trays with silicone cover. They will work too. So, next time you have leftover pumpkin puree, you know exactly what to do with it! The best part is that you can use it all year round. 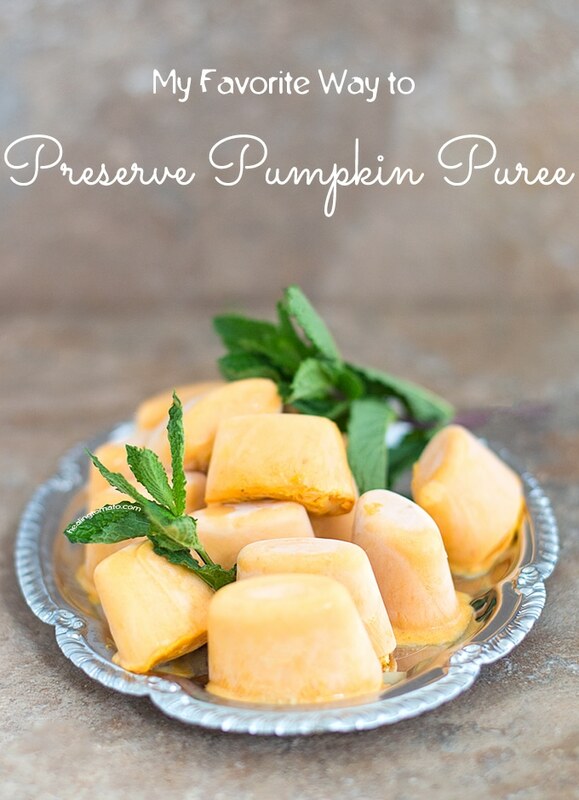 Now that you know how to preserve pumpkin puree, what recipe will you be using it in? - You can add other ingredients that you might use with the pumpkin recipe. For example, I put some mint leaves in a few of the ice cubes. They make for great smoothies. For me, however, having only 2 ingredients was better because I could use it in any recipe. 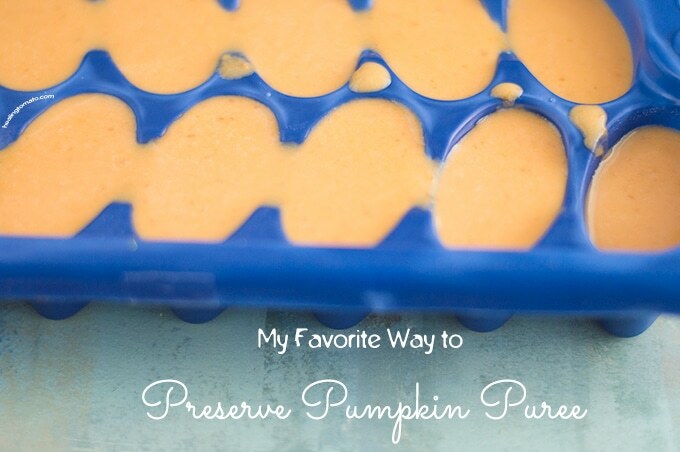 This is a perfect way to preserve that excess pumpkin, so many uses!